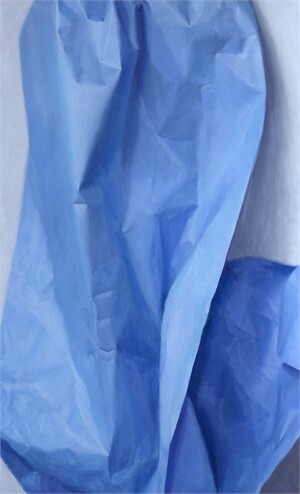 JUDITH POND KUDLOW, a Montana native, now resides in New York City, where she received her art training. 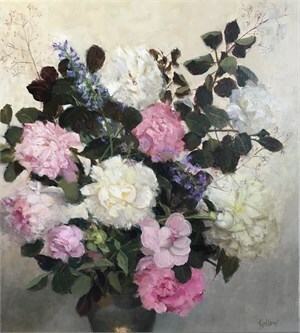 Her working method is based on the nineteenth century academic tradition which emphasizes working from life to produce paintings based on precise drawing, careful modeling to produce the three-dimensional illusion, harmonious and accurate colors and values, and compositions based on time-honored rules. 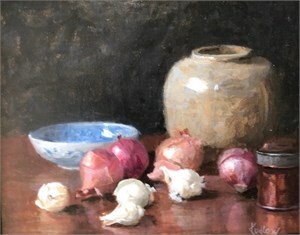 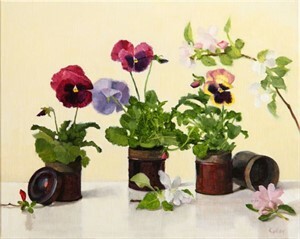 Her subjects include figures, portraits, still life, and landscape. 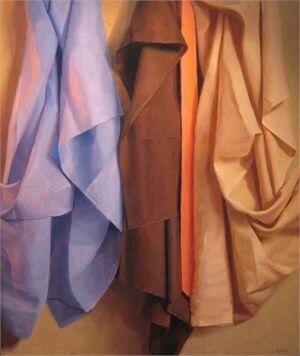 Her interest in classical drapery studies has led her most recently to produce a body of work using contemporary draped subjects which she calls “color-form” paintings. 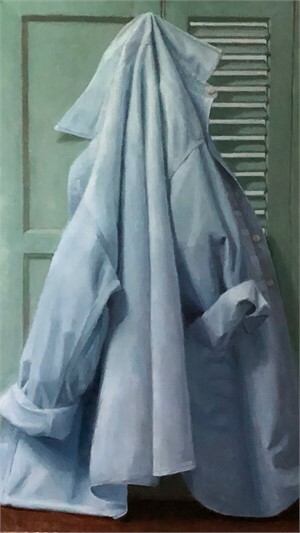 Her studio is a second-floor loft in a century-old cabinetmaker’s building in East Harlem which is also the location of her atelier, The NYK Academy. 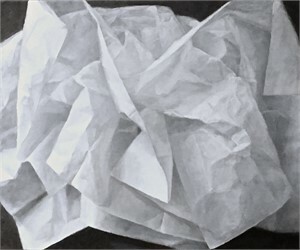 In the November 2011 issue of American Artist magazine, The NYK Academy was named among the top 10 Art Schools in the country. 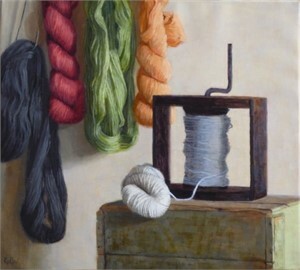 Kudlow was a finalist in the Still Life category for the 9th Annual Art Renewal Center Salon Competition.